I'm looking for some advice on a PCN that was issued last year 07/09/2017 for parking at Croydon Poplar Walk car park. I did park there on the 7th September, and didn't make the payment as I think my phone had issues (or I forgot) and called up the number the next day when I remembered on the PaybyPhone site/board to ask how I can pay for the previous day as when I checked the website I couldn't find any other contact number. The operator told me she couldn't help me as there was no mechanism to make a back dated payment. I've parked in the same car park multiple times and always made the payment. and said the notice in the car park says clearly that the payment needs to be made within 30 minutes of parking. 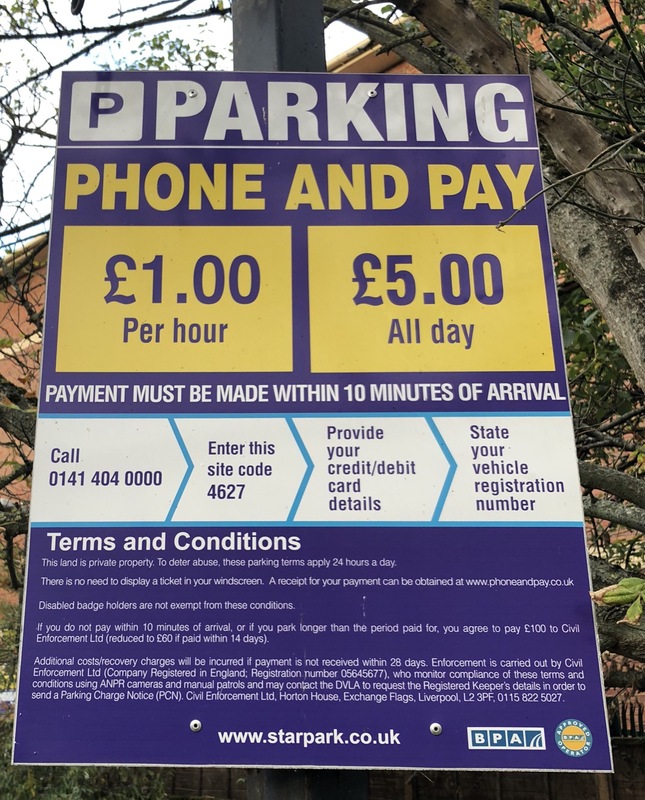 I tried appealing on the call saying I had tried to make the payment the next day and explained I'm more than happy to pay the parking fee with an appropriate interest for it but the fine of £60.00 seems a bit steep, but they didn't budge. I tried to search up the actual legal owners of the car park, but couldn't find any details for them. but after trolling through a few sites which recommended ignoring these letters, that's what I did. Then I got a few letters from ZZPS which had threatening tones (and amount kept increasing, all of which I threw away) and then got a couple of letters from QDR solicitors, the last one dated 25/5/2018 threatening stated they would obtain a CCJ, which I kept. I didn't do anything, as after looking up similar letters the general advice seemed to be to ignore them. Last week I got a Claim form from County Court Business Centre, Northampton dated 11/10/2018 which looks very legitimate as it has the county court stamp (albeit a bit faint). The amount now states £331.59!! Feel like I should've just paid the £60.00 last year. It seems a bit unjust that a £5.00 parking fee should end up having such a huge fine!! page 3 is "Admission (specified amount)"
- lots of sub-sections and is double sided ending with a declaration. Page 4 is "Defence and Counterclaim (specified amount)"
- also double sided with lots of sections. I've also attached a scanned copy of the letter from QDR solicitors. Please help me.. feeling very anxious now! The experts will be on in the morning, but in the meantime have a look through other threads where court proceedings have begun to get a feel of what to do. I know you can register on the MCOL website that you oppose the claim which buys you time to prepare a defence and start to undermine these charlatans. There are no guarantees of course, but most of the time the parking companies can't be bothered to prepare a proper legal case because they don't need to, unfortunately most of the time people are frightened of the legal process and give in … which means that a decently-defended case wins most of the time! Go for it! Thanks @FTMDave - I've started doing some research, but not sure whether to Defend fully and counter claim or admit to part. You need to defend all. DX and ericsbrother will likely look in in due course, so sit tight. Just be prepared to provide all information requested. ive taken that down and the other uploads and tidied the thread of now unnecessary posts. one point...it is NOT A FINE..nowhere if you look carefully does any of the paperwork use that word...…. You say that you are tempted to call them the day afterwards and to make the payment. This raises some interesting possibilities for a defence but do you have any evidence of this? OK, you acknowledge the claim and say you are defending in full. Anything else is an admission you owe the lot so forget about thinking you can maybe pay £60, it doesnt work like that. You dont owe any money, you offered to pay and they refused the payment, that menas you have mitigated the loss and they now cant ask for payment. Ashley may try caharging you another £200 to write his witness statement, something that has to happen anyway or there is no claim but people often dont know waht is allowed and what isnt so pay up before he asks for a new house. I have no idea where Poplar Walk is so please tell us the street address or postcode so we can google it and give us an idea of what sort of car park it is, shopping centre, residential estate or what. also tell us what paperwork you still have, so for example the original NTK. Also, it isnt a FINE, it is jusr an invoice and probably an unlawful demand cos CEL dont care about the law that allows them to ask in the first place. I have had a quick look on google spyonyourneighbour and can see 2 signs at the entrance. The first says phone and pay and see other signs for conditions. This is not a contract to park but an invitation to treat and that menas the conditions on the other signs are not set in stone so your offer you made should have been accepted. The second sign cannot be read from google but it isnt an offer from CEL so that gives them problems regarding locus standi, or a right to make a court claim. In short, it appears as though they have nothing to do with the offer so cant sue you. Now as you can see that hasnt stopped them from spending money to do exactly that but it means that when you defend they will lose the claim as no contract exists between you that is enforceable. Usual CEL con trick so once they see why you are defending they will have to drop the claim or end up paying costs and possibly getting sued by you if you are that way minded. So, paperwork and some decent pictures of the signage needed so you can send an outline defence off within the time allowed but get the acknowledgement done now to buy you an extra fortnight to do the rest. I've got no evidence as this was last year. 1.Claim for monies relating to a Parking Charge for parking in a private car park managed by the Claimant in breach of the terms + conditions (T+Cs). 2.Drivers are allowed to park in accordance with T+Cs of use. ANPR cameras and/or manual patrols are used to monitor vehicles entring+ exiting the site. 3. Debt + damages claimed the sum of £236. Has the claim been issued by the Private parking Company or was the PCN assigned and it is the Debt purchaser who has issued the claim ? Were you aware the account had been assigned – did you receive a Notice of Assignment? I got a letter from ZZPS - but did not keep them so dont know if they were notice of assignment. Thanking you and everyone who has added comments to my thread. I'm a bit confused regarding the NTK. I dont have any of the early letters - they've all been recycled months back as the incident happened over a year ago. I've managed to find one of the letters from CEL dated 24/08/2018 which could be an NTK? I'm reattaching the 3 documents I have as as a single pdf, that is all I have, with all personal information including any codes redacted. I've actioned post 9 as per your instructions and submitted the AOS. for the CPR 3114 request - who do I send this to? On the claim form there is no solicitor mentioned. On some of the other threads where people have uploaded their claim form, the solicitor has Signed the claim. I will take some pictures of the signage tomorrow and upload to this thread. I've registered on MCOL and submitted AOS as per Dx's instructions. FWIW none of those uploads are an NTK. Sorry what is a PoC? Will send CRP to CEL. Particulars of Claim on the court form. dx meant that we like to see all of what they submitted, if there's more than you told us in post #12. There is no other information on the Claim form apart from the details on the first page in the small box on the left. I’ve looked at all the other pages. I’ve seen on other threads the text says they’ll send particulars later etc. But even that’s not mentioned on mine!? well there is and ive updated post 12 now. the important bit is they cant claim damages, what did you damage in 8.5hrs of theirs? Sorry I didn't realise you wanted the whole text typed out in that format. I didn't damage anything in the car park - is that enough as defence? I've attached the signage pictures. How do I go about putting a defence ? Or do I need to wait till the response to the CRP comes? you need to read up on terminology, damages is the monies they are claiming. They are stating that you have caused them a loss by not paying them immediately. the signage doesnt mention paying them £100 for not obeying their conditions offered in the big sign so there is no damages they cna claim for breaching the supposed conditions. They are damned by their own signage so wont want to actually have to turn up at Croydon CC and thus rely on bullying you into paying up beforehand because if they attend you will beat them and get your expenses for the day out to boot. So the simplest defence will be there was no offer of a contract so the claimant has no cause for action against the defendant. CEL WILL lie and may even produce mock ups of non-existent signs so make sure you have pictires of everything. there isnt a contract here that even states what you are supposed to pay and the parking meter is the only actual offer of terms so if you didnt use it you cant be held to its terms. - although in very small writing. TBH I didn’t even see that until day before when I went to take the picture! I can’t correct my previous post where I thought it was 30 minutes. Does this cause a problem for my Defence? we need to see everything, not just secondhand snippets. As I have said, they will produce false documents and computer mock ups of signs that dont exist so we need to see what is there and see it all in clear detail as well as getting an indication of where the signs are relative to the entrance. we know half of the story and that is enough to kill a claim but we need to be able to counter the lies. and it doesn't? say 10 mins... it must say a minimum of 10 mins..if not they've shot themselves in the foot there. Sorry I did attach the signage pics but only just noticed that one of them was not clear enough. I’ve attached another clearer one of the Phone and Pay sign.